Arbordeck’s low-slip decking offers a safer solution for areas where you need extra grip. Our products are great for steps and ramps, as well as in public places like schools and colleges. 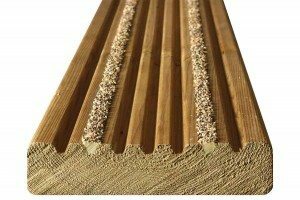 You can be assured of quality and longevity with all Arbordeck and Trex Contour enhanced grip decking, which all surpass the minimum requirement for ‘low-slip potential’ (see below). Both are also sure to stand the test of time. 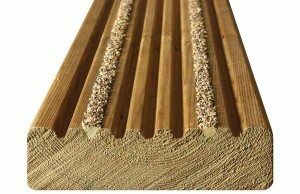 Softwood products, machined from high quality, slow grown joinery timbers are treated with Osmose Naturewood to protect against rotting and insect attack. 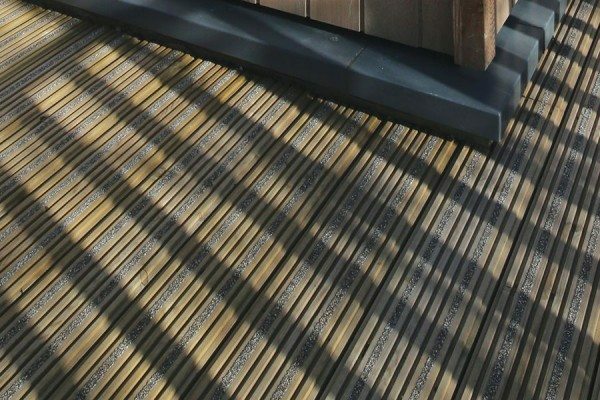 Trex Contour composite decking, which is made from 95% recycled materials, is guaranteed not to fade, stain, rot or split and also boasts enhanced grip properties. 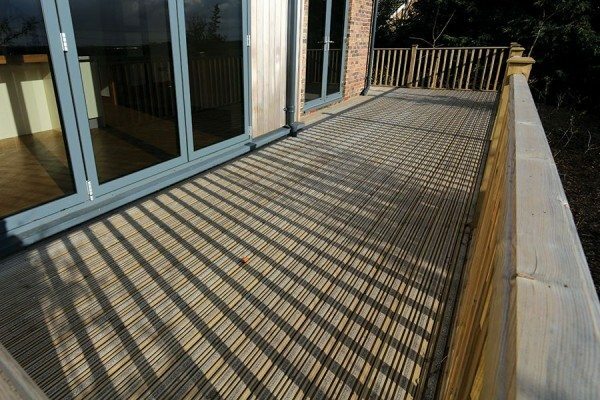 We are confident about the performance of our products here at Arbordeck, with our low-slip decking performing well in the standard low-slip deck test. To meet the HSE’s recommendation for low-slip potential, products need to achieve a minimum reading of 36 on the pendulum test in both wet and dry conditions. Arbordeck enhanced grip boards surpass the minimum requirement for low-slip potential when the boards are perpendicular to the direction of traffic. If you would like more information about how our products perform in the HSE’s pendulum test, get in touch on 01469 532 300** or by dropping us an email.